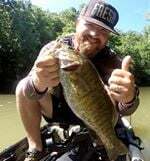 Reviews of Quest Outdoors Kayak Shop (brick and mortar) by kayak anglers. Quest Outdoors has three locations throughout the Louisville area. A good looking retail shop privately owned and only in Louisville, Quest has everything you need for your next paddling, hiking, camping, climbing adventure. Though i have not purchased a lot from there store I have visited countless times. This is not a dedicated paddling shop but they do have a selection of paddles, PFDs, and kayaks of all kinds. If you are looking for a high-end kayak in the Louisville area this is the shop to visit. You may have to travel a bit to get a yak they don't offer. Though they don't sell any tackle or fishing equipment I visit often to see some of the best yaks out there in person. They also sell a variety of rack systems for whatever vehicle you have. They have a few demo days a summer and typically bring our about every kind of yak they have. The few purchases i have made have been easy and the crew there are always friendly and happy to entertain your questions. I've had a number of conversations about the options open to me when considering one of there kayaks in person or on the phone and they have always been great.